Directions: Preheat oven to 350 degrees. Spray a 10 inch Bundt or tube pan. Combine cake mix, pudding mix, water, oil, 1/4 C lime juice and eggs in mixing bowl. Beat with an electric mixer at medium speed for 2 minutes. Pour into prepared pan. Bake 40-45 minutes or until toothpick inserted in center comes out clean. Cool in pan on wire rack for 30 minutes. Invert the cake on to serving platter and cool completely. Stir confectioner’s sugar and 1 T of Key lime juice in a small bowl until smooth. Drizzle over cake. If using sliced almonds, sprinkle on top of cake. Add a circle of the Candied Key limes for decoration. 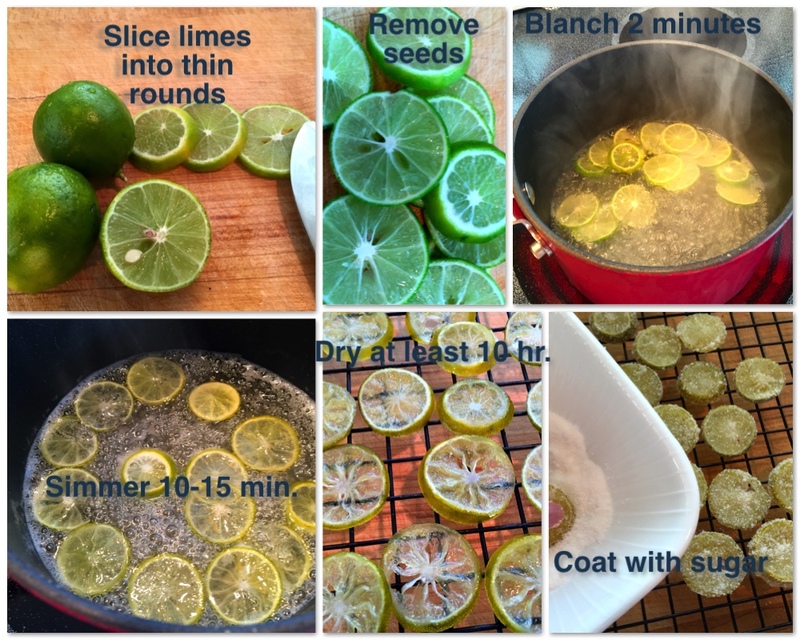 Directions: Slice limes into thin rounds and remove seeds. Blanch in a pot of boiling water for 2 min. and drain. In the same pot, combine water & 1 C sugar. Bring to a simmer and add lime slices. Simmer for 10-15 min., till white pith of limes looks translucent. Drain and spread out on a cooling rack to dry for at least 1 hour. Put 2 T sugar in shallow bow. 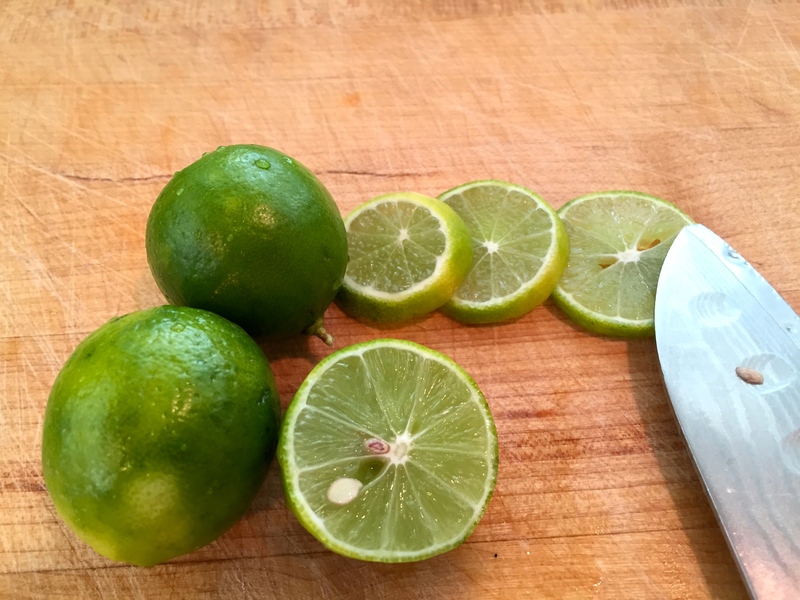 When limes are dry, coat both sides of the lime slices by pressing them into the sugar. Store in an airtight container and layer between parchment paper or plastic wrap until ready to use. You can freeze them and take them out as needed. 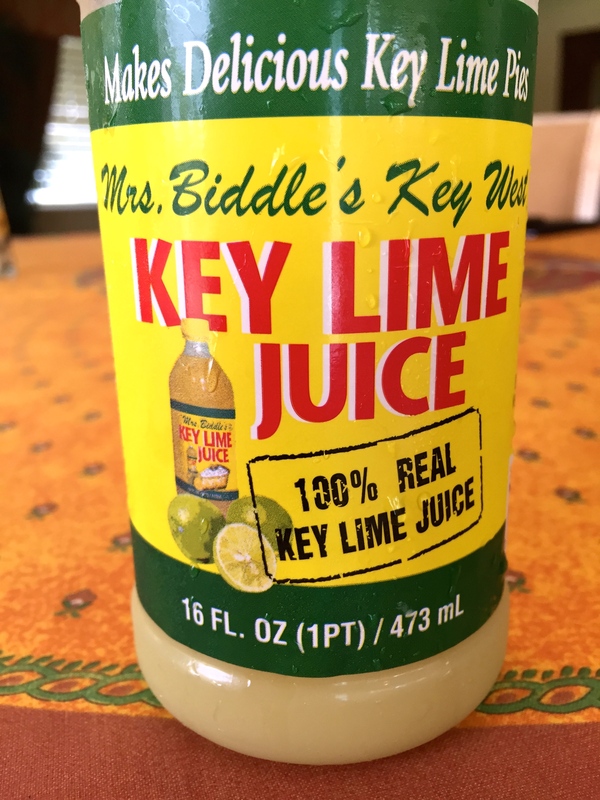 Good brand of bottled Key lime juice! Better to use the real thing! 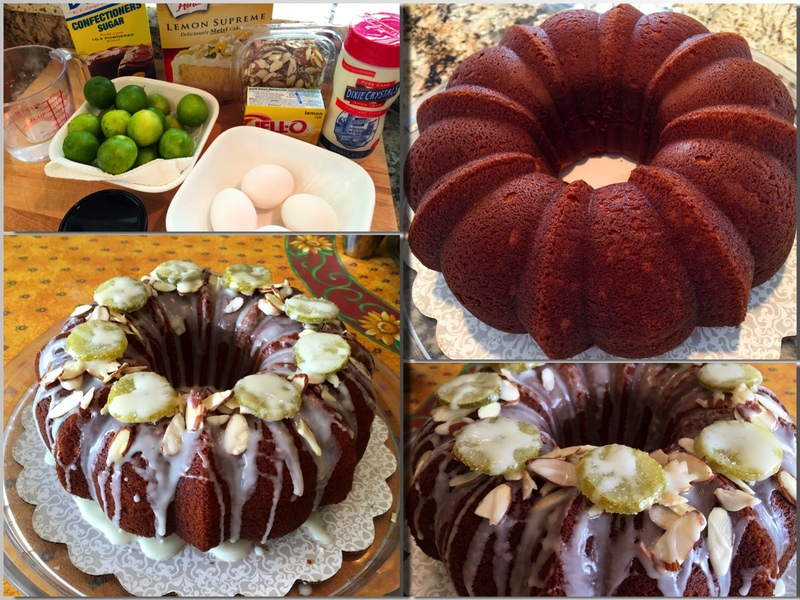 This entry was posted in Desserts and tagged bundt cake, CAKE, cakebox cake, candied key limes, easy cake, KEY LIME, key lime cake, key lime drizzle. Bookmark the permalink. Looks fabulous and I am sure it tastes amazing! Looks delicious as always! Great job! !